I don’t quite know how to describe it, but lately I’ve been feeling inspired. Maybe it’s the fact that I have more time to myself, or that now that Jason has a job I’m spending more hours feeling thankful and fewer hours feeling worried. Regardless of the reason, I’ve been led outside my daily routines – inspired to go outside, read books, get to the gym, call old friends, schedule travel adventures, etc. etc. I turned off my TV (and it’s Glee night!) and sat down at my computer tonight to spend some time with my iTunes library. I am currently obsessing over the Black Keys new album Brothers, Kate Nash’s “My Best Friend is You” … and the “In the Heights” Soundtrack. And the fact that I got my ACL Fest tickets today… that’s a whole rush of excitement over the music/friends/culture/love fest coming in October. 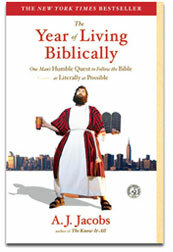 Currently reading a few books on my “meaning to read list” – “The Year of Living Biblically” by AJ Jacobs and “The Tipping Point” by Malcolm Gladwell. I’ve spent a lot of time lately thinking about my heritage, and how that makes me who I am. I am fervently proud to be Czech, proud of my dad for changing his world in one generation (more on that in a future blog post), and thankful for all the hard work of my family to raise and nurture me into the person I am. Watching the musical In the Heights got me thinking about this even further, and I’ve become somewhat obsessed. I am planning a trip to the Czech Center Museum in Houston (they even have a blog), and hope to sit down with my Dad soon to get as much information as I can out of him. 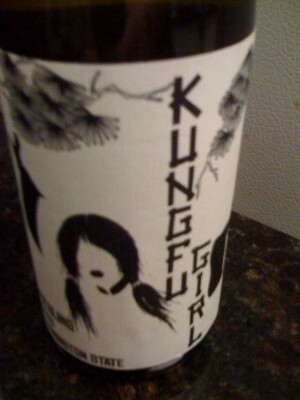 In the last week I have had both my favorite boxed wine – Target cubes – and tried a new recommended riesling from a fancy wine shop (called Kung Fu Girl – yes I bought it for the label). Great conversation happens with friends over glasses of wine, and I love the sipping. I am insanely fortunate to get to spend time with people who are intelligent and witty, fearless, empowered, giving, passionate, just to name a FEW. I am also inspired by bloggers and Twitter-ers. My new favorite is a blog called “Marc and Angel Hack Life” – blog posts include Productivity Advice in 5 Words or Less and 40 Modern Nonfiction Books Everyone Should Read. I highly recommend both posts. So… What’s inspiring you today?